Downeast boats conjure scenes of lobster boils and comfortable cruising. Sit back, relax and enjoy our Downeast Boats Roundup. More than 100 years ago, what’s now known as a “Downeast boat” was a working vessel. Built to plow through rough seas, it offered low windage, a stable hull and a cockpit big enough for hauling and accommodating lobster traps. 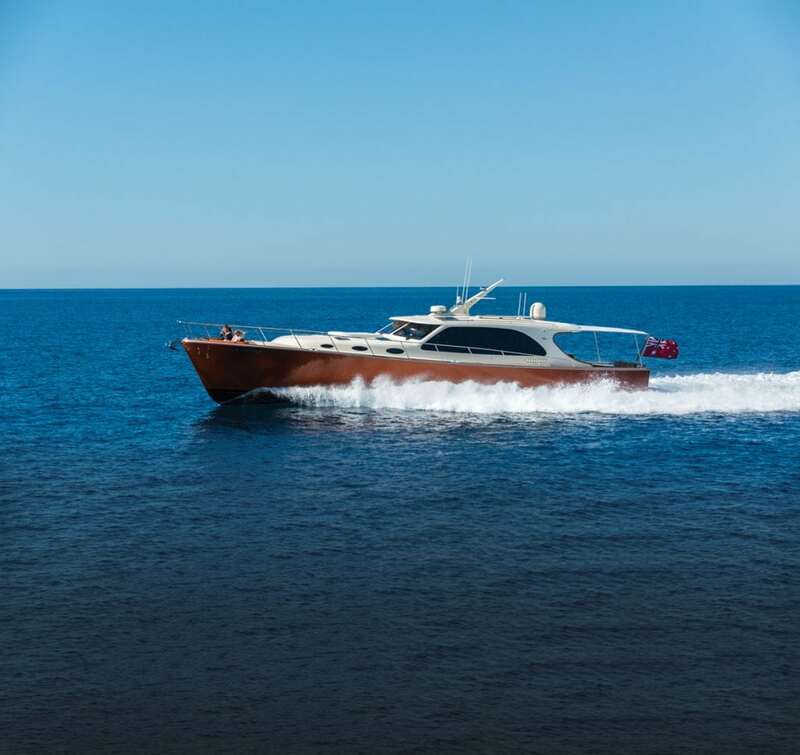 Sometime since then, boat designers took that look, added their personal brand of upscale and transformed the style into that of a luxury cruiser. What follows here is a look at the top 16 Downeast boats, each an elegant example of what happens when designers and builders work together to combine beauty with functionality. As you’ll learn in the following stories, getting it just right is what matters. Want more of our Downeast Boats Roundup? Try our Downeast Buyers Guide.